For those of you who don't know about Strawberrynet , it is a Hong-Kong based online shopping destination that sells discounted cosmetics and offers free shipping to anywhere in the world. Honestly, I personally like that everthing is in alphabetical order and when you click on one brand, you'll see everything in one page- from eye to lip products. Quick and easy. No confusion. Who has the time to find cow when seeking sheep??? I'm so glad I've found an alternative to Ebay. 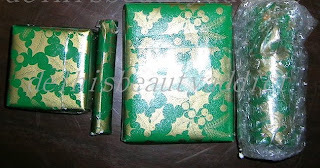 A beauty addict living in India, where all the most wanted cosmetic products don't come easy, needs more than one online store to seek gratification from. Strawberrynet sells almost every popular cosmetic brand from Mac to Laura Mercier to Bobbi Brown to Philosophy (I might order a lil' bit of "Hope" later) to Shu Uemura to YSL to lots more. I should have ordered the YSL Touche Eclat from them instead of the nearby mall to save a few bucks. Damn! And yeah, you'll find beauty tools, hair products and fragrances at discounted prices too. Right now, get Super Special 30% - 60% OFF on fragrances like Britney Spears Curious, JLo Glow, YSL Babydoll (all my favorites) and lots more. Any of you have tried the products above? Do let me know how you find them. Aww lovely items, I love benefit blushes, recently ordered sugarbomb .waitin for it to arrive.haven't tried strawberry.net but I have my eyes on philosphy too. wow, great haul. Shall wait for your review. very nice haul cynthia! 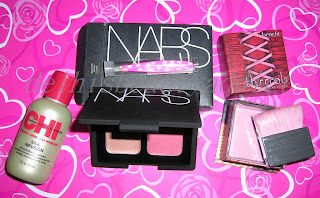 especially the blush duo from nars! i love nars! i'm planing on placig an order with them very soon! Nice haul................FLING! FLING, alright! FLING! great haul!! those tweezers are so cute, I also wanted the ones with the crystals on it but they are too expensive!! Can't wait to see when you add some bling to yours! Let us know how the nars duo works out for you hun! Beautiful haul! 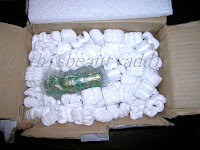 Don't you just loove getting goodies in the mail? I'm waiting for my Victoria's Secret semi-annual sale order! I have a blog award for you! I love these products what you charing. So beautifuls.I try make fashion post in my blog :)Come see it`s. Have a pretty evening for you my dear friend! I have visited your blog and it's really very good and useful too. Thanks for the information. Yes you are right.strawberrynet too good .